Rich Garon, the author of the new novel Lee Fitts (due releasing in February this month), was a former Chief-of-Staff for the Committee on International Relations, U.S. House of Representatives. Prior to his wonderful career on Capitol Hill for 25 years, Garon received his M.A. and Ph.D. in Politics from New York University. He currently devotes his time as a member of the Serve (Outreach and Mission) Committee at the Immanuel Anglican Church in Woodbridge, VA where he coordinates the homeless ministry, with an emphasis on those living in the woods. Perhaps this novel is the link that will connect Garon’s audience to understand his devotion to “writing for change” and his passion to help the homeless people and the community. All proceeds from the sale of Garon’s new novel, Lee Fitts, will go to the Bill Mehr Drop-In Center for the homeless in his local community. 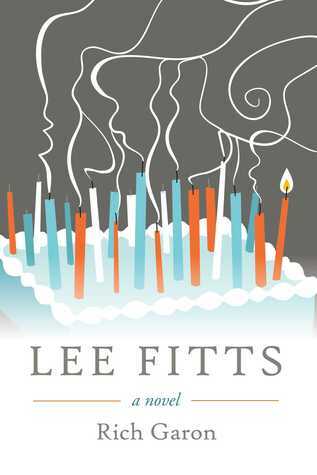 Before reading ahead the Q&A with the author, I have a copy of Lee Fitts to giveaway!! Simply follow my Instagram: @Binzento and drop me a direct message. A winner will be selected via Instagram on February 28th 2019. Q: Your book jacket text starts out “You can’t stop rooting for Lee Fitts?” Why is that the case? Q: Forgiveness seems to be a big part of the book - what role does this topic play?